Arctic raspberry has been rated by some fruit connoisseurs as the tastiest fruit on earth, more pleasant in taste than even mangosteen, which otherwise have been agreed by most to be the most tasty fruit. Arctic raspberry, however, grows in an area not accessible to many. So this fruit is even known to a large part of world population. So the claim is still disputed. Arctic raspberry, as indicated by name itself, is a fruit of the coldest region of the world. It has still not been domesticated as an orchard fruit. People collect it from the wild. Arctic raspberry is a very popular wild fruit in Finland. 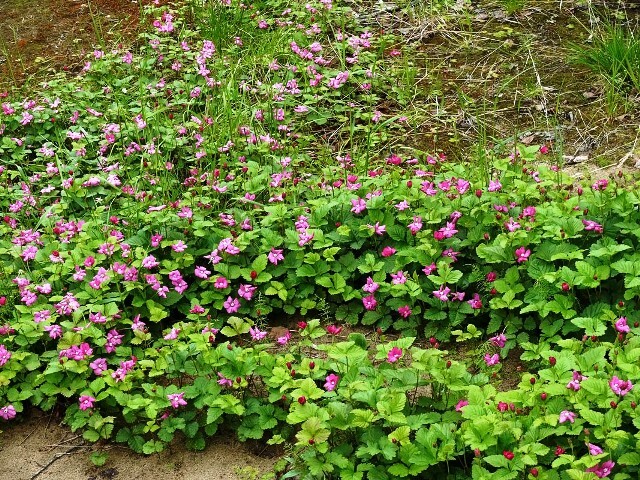 , where it can be seen growing in herb-rich heath forests, fertile spruce bogs, damp meadows, on riverbanks, along the sides of ditches, streams and roads, as well as in logging areas, at the edges of cleared fields and in old pastures. A perennial herb, 10-25 cm tall, rhizomatous; stem glossy and spineless. 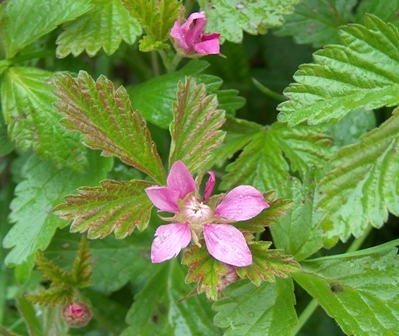 Leaves, alternate, stalked, stipulate, blade palmate, with 3 leaflets; terminal leaflet diamond-shaped, lateral leaflets round-edged, unsymmetrical, all leaflets with toothed margins, at least sparsely hairy, often reddish. Flowers solitary or in pairs; calyx 6–9-lobed, corolla regular (actinomorphic), pink–purple (occasionally white), 15–25 mm broad; petals usually 6–9; stamens many; gynoecium separate, pistils several. Fruit brownish purplish red, aromatic, sweet aggregate of drupes. The fruits are eaten raw. These have a very fragrant and rich flavour. So these are also and also used to add flavour to other fruit preserves like apple, raspberry, red currant or white currant. 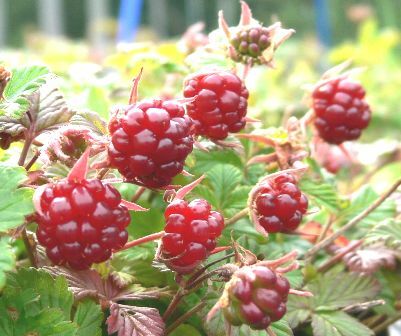 Arctic raspberry fruits are also used in desserts and teas. The fresh fruits have a very short shelf life and therefore cannot be stored for long. These can, however, be preserved by freezing. Arctic raspberry fruits are reported to have the highest content of ellagitannins among all aggregate fruits. As it has been stated earlier too, this fruit is yet not cultivated. All the fruits are collected from the wild only. However, efforts made by some hobbyists indicate that Arctic raspberry is not difficult to grow. New plants can be raised from seed as well from cuttings.